The fastest athletes on ice slide into the Whistler Sliding Centre track when Canada hosts the 2019 BMW IBSF World Championships. The world’s top bobsleigh and skeleton athletes blast down a 16-corner icy chute that twists and turns down Blackcomb Mountain. 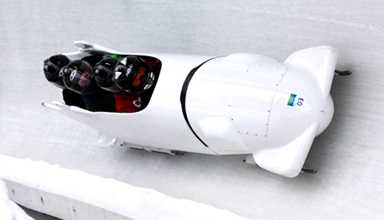 More than 250 athletes representing over 35 countries battle it out for the title of King and Queen in the most prestigious bobsleigh and skeleton event in a non-Olympic year. Be trackside to check out these athletes as they reach speeds of up to 150 km/hour while sliding down the high-banked corners of the world-renowned Whistler Sliding Centre. The action-packed event features nightly entertainment, local food options, beer gardens and other amazing activities for the whole family to enjoy! There is NO parking available on site. The best way to access the Whistler Sliding Centre is via the Excalibur Gondola. 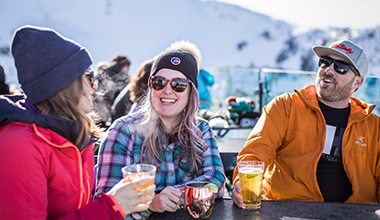 Spectators can take the gondola from Whistler Village (until 6 PM and free to ride without ski/snowboard equipment) to mid-station and continue from there on foot (10-minute walk). The Whistler Sliding Centre can also be accessed via Whistler Transit bus to Staff Housing – Route 7, followed by a short walk to the venue. Parking lots 7 and 8 are available for free parking (upon availability only). Please note that at this time of year, these lots are very full and we encourage spectators to make use of the Excalibur Gondola and BC Transit. For VIP Package details, please email viptickets@bobcanskel.ca with subject line WM VIP PACKAGES. An electronic or printed copy of your Ticket Purchase/Receipt Confirmation is required to gain access to the Whistler Sliding Centre. Upon entry to WSL you will receive a physical ticket. In/out privileges are allowed for the day that tickets have been purchased only. For individuals purchasing a 3-day pass, please request tickets for each day attending for daily entry. Children and Youth 11-18 years of age, when accompanied by a parent/guardian, are entitled to join as part of a Family Pass. Unaccompanied youth will be required to purchase a ticket. Children 10 years and under are FREE. Tickets may also be purchased at the gate at the Whistler Sliding Centre. Aside from the live sports action of the V2019 BMW IBSF Bobsleigh & Skeleton World Championships there are plenty of things to see and do around town. Enjoy that "Olympic Athlete" feeling (and speeds over 100 km/hour) without any of the pesky training or preparation.